Emory is recognizing the distinctive contributions of three cultural leaders with honorary degrees at Commencement this year. Former U.S. 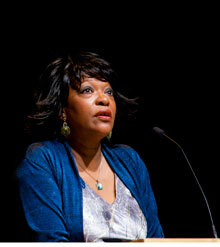 Poet Laureate Rita Dove, the keynote speaker, is known for her interdisciplinary approach and collaborative artistic ventures. She is receiving an honorary doctor of letters. The Commonwealth Professor of English at the University of Virginia and a major figure in American and African American literature, Dove has written more than a dozen books and edited two poetry anthologies. Her book "Thomas and Beulah" won the Pulitzer Prize in Poetry. Dove is the only poet to have received both the National Humanities Medal and the National Medal of Arts, two awards among an extraordinary array of honors that also includes the Fulbright Lifetime Achievement Medal, White House Presidential Scholar and Guggenheim Fellow. She is cited as a mentor by Emory's Pulitzer Prize-winning Natasha Trethewey, Robert W. Woodruff Professor of English and Creative Writing and the current U.S. Poet Laureate. 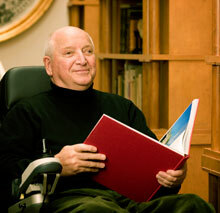 Michael Graves is renowned for redefining the architect's role in society. His distinctive combination of classicism and modernism sparked influential designs ranging from iconic buildings to everyday objects. He is receiving an honorary doctor of fine arts. One of a group of modernist architects dubbed the "New York Five," Graves is founding principal of the firm Michael Graves & Associates. Its portfolio includes Emory's Michael C. Carlos Museum. Graves's first project on campus involved adaptive re-use of the former law building, a Henry Hornbostel landmark now known as Carlos Hall, to provide classrooms and gallery space. Its success led in 1993 to a 35,000-square-foot expansion, followed by gallery renovations. Graves is the Robert Schirmer Professor of Architecture, Emeritus, at Princeton University, an American Institute of Architects (AIA) Fellow, and a Member of the American Academy of Arts and Letters. His many honors include the National Medal of Arts and the AIA Gold Medal. Marguerite "Maggy" Barankitse is distinguished for her courageous work over two decades on behalf of victims of violence in the central African country of Burundi. She is receiving an honorary doctor of humane letters. Barankitse founded the multifunctional service agency Maison Shalom (House of Peace) in the wake of severe ethnic violence between Tutsis and Hutus in the early 1990s. 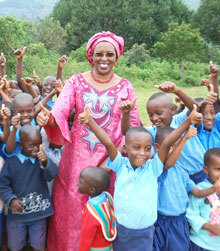 She began by providing a home for orphaned children who survived the attacks. Maison Shalom's mission has expanded to include education, health programs, vocational training and reconciliation, as the organization helps heal and support young people and families affected by war, poverty and disease. Barankitse is the recipient of several international honors, among them the prestigious Nansen Refugee Award from the United Nations High Commissioner for Refugees; she used the generous monetary part of the prize to help start a hospital.